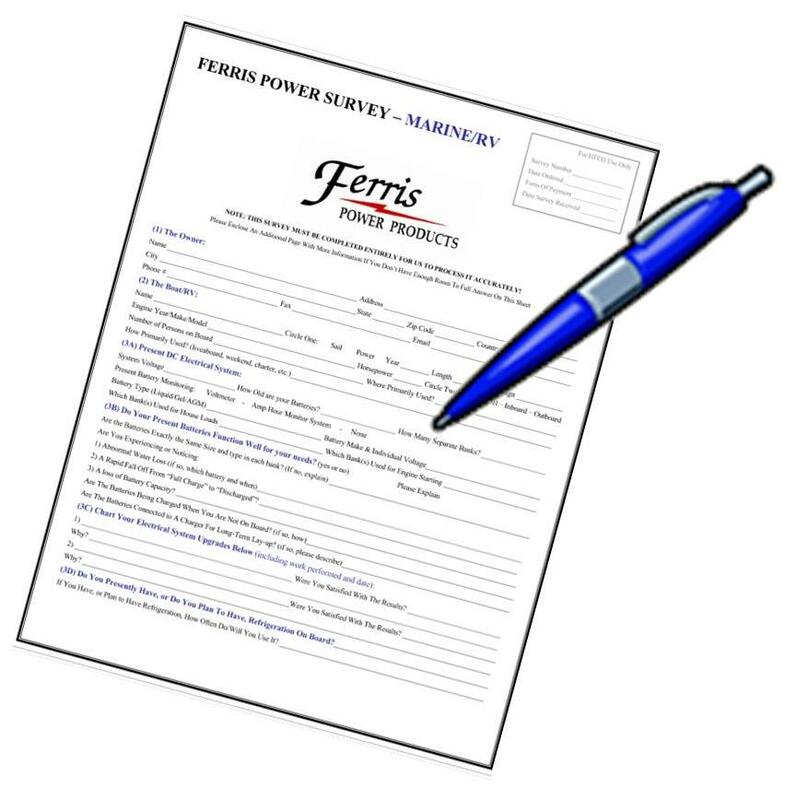 The Ferris Power Survey is a comprehensive survey is designed to support customers no matter where there docked. The survey assures that we understand your needs so we can size your power system accurately. This affordable design/planning service allows us to quickly & easily determine what electrical power products are best suited for your needs. Simply order the survey, fill it out completely, and return it to our office. We then analyze, size and select the components based on your input and give you a firm price quote for your system. The Marine or RV Power Survey fee is $100. The Residential/Commercial Power Survey fee is $200.